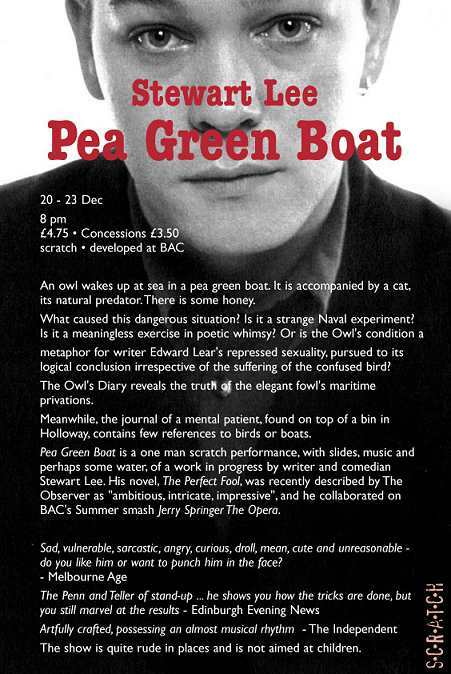 Pea Green Boat was a show I wrote and performed about the life of Edward Lear, his poem The Owl and The Pussycat, and my own personal paranoia induced by various professional disappointments and the failure of my plumbing system. Jane Watkins provided live cello and the role of Edward Lear was played by both Simon Munnery & John Dowie. The Edinburgh run of the show made £200, and the London run made £150. 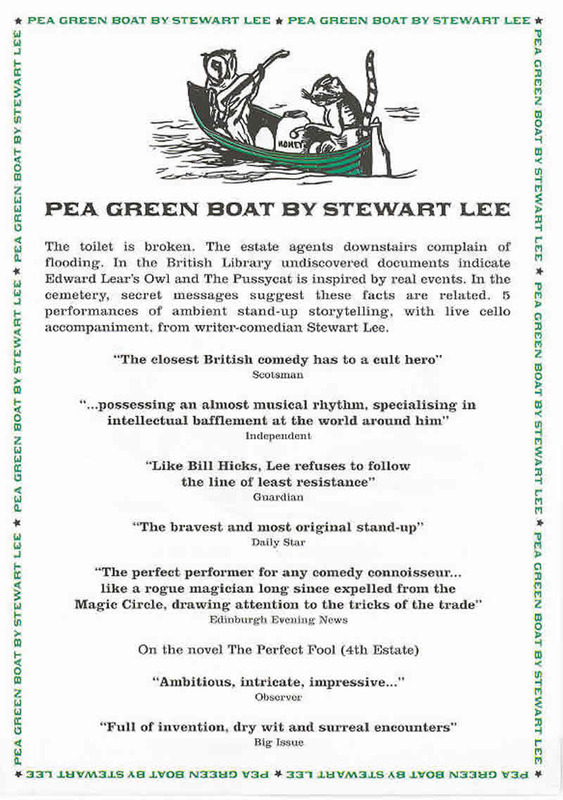 Pea Green Boat is not a financially viable live idea and would be impossible to tour but I hope to revive the text in another format some time, or do it as an absurd vanity project on the moon if I ever become extremely wealthy. Many thanks to everyone who came. 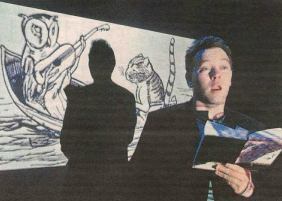 In June 2004 a heavilly cut down version of the piece was produced, brilliantly, by Liz Webb for Radio 4.